Custom injection molders everywhere are looking for way to remain or become competitive in the global economy, and the metal injection molding process (MIM), is a growing technology. Plastic injection molders are in a great position to benefit from this process because it is similar in many ways to the injection molding of plastic. Finding a niche market and becoming an expert in that specific area is one way to gain market share. Companies who are nimble enough and aggressive are finding that metal injection molding offers many opportunities for profit and growth. There are advantage and disadvantages, but if you are already in the custom injection molding business, you have a head start. Metal injection molding, or MIM, is primarily used in automotive and medical applications, though new uses are being developed regularly. The medical industry is a huge market with high margins for profit. MIM is used extensively because it offers a high degree of complexity, consistency, and lower cost per part than other methods of manufacture. Highly engineered medical products that formerly were machined are now routinely injection molded using MIM. 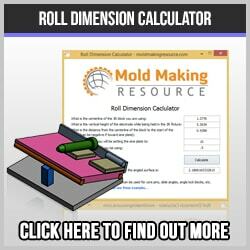 If the volume is high enough, this becomes a better choice for manufacture than machining. In a way similar to plastic injection molding, the more complex the part the better and the same with volume. The consistency of dimensional accuracy is also ensured by this process. Because the materials used are predictable in their composition and shrinkage, the finished product is very accurate and true to the design. The automotive industry uses MIM produced parts as well. Many gears, brake parts and engine components are perfect candidates for metal injection molding. Another advantage to this process is that the metal parts can be used as inserts in over-molding applications. The two shot molding process is regularly used to combine dissimilar materials, such as stainless steel and plastic, for example. 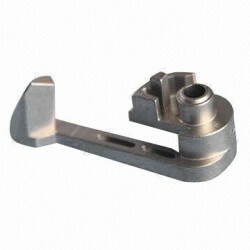 This provides a clean, flash and burr free part, ready for assembly, often with no secondary operations required. 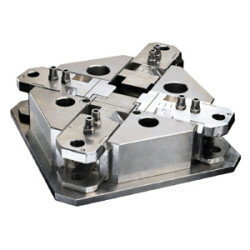 Metal molding costs, powders, machines and designs are unique, but the basic injection mold making technologies apply. What are some advantages of MIM? The elimination of waste is one of the primary advantages. This is because there is little or no machining involved, plus the scrap and runners can be recycled, which in turn saves money. Consistency from part to part is a given because of the injection molding process. The dimensional tolerance is relatively easy to maintain from cavity to cavity due to the entire process being controlled and monitored. Even with the large amount of shrink involved the precision is still high. As volumes increase, the cost per part decreases, and metal injection molding is perfect for high volume parts, such as gears, brake parts and medical parts. The cost savings compared to machining can be dramatic, once the volume reaches a turning point. 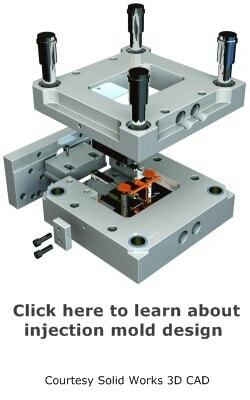 Also, because there is often no secondary operation, the cost is reduced as well.What does this mean for a molder? The metal injection molding process represents a great opportunity for gaining dominance in a niche market. This can give you a competitive edge in the plastic injection molding process and mold making process and add profits to your operation.